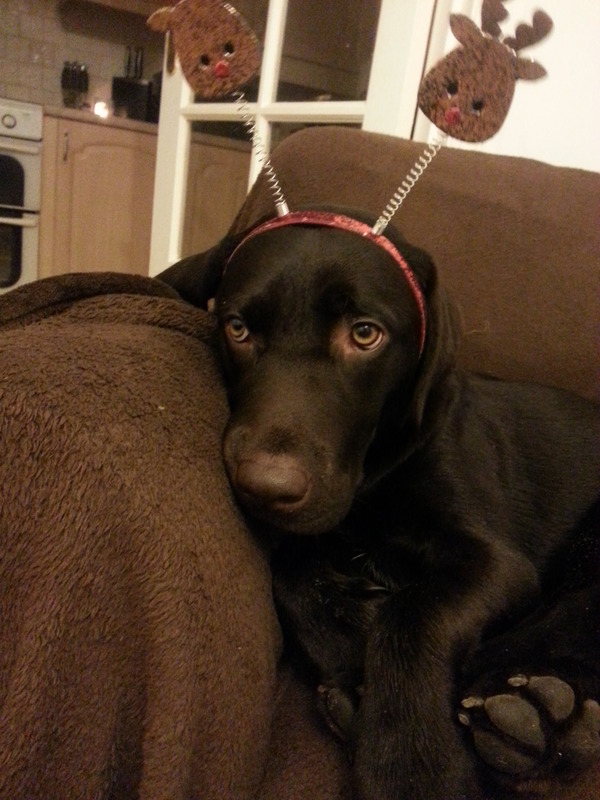 I can’t quite believe we are nearly at the end of 2013! In 2012 I struggled to read as many books for ‘pleasure’ as I would of liked to as I didn’t have the work/study balance quite right however in 2013 this picked up slightly and I have managed to check off a few more books from my ‘to read’ pile. I don’t know about you, but I am always keen to get book recommendations from other people with similar interests as there are so many books available (and so cheaply) it is too easy to pick a few up without really knowing much about them – it always ends up being a gamble! I thought that sharing my top 5 reads of the year might be interesting and may also be good for those who are searching for some new reads for 2014! 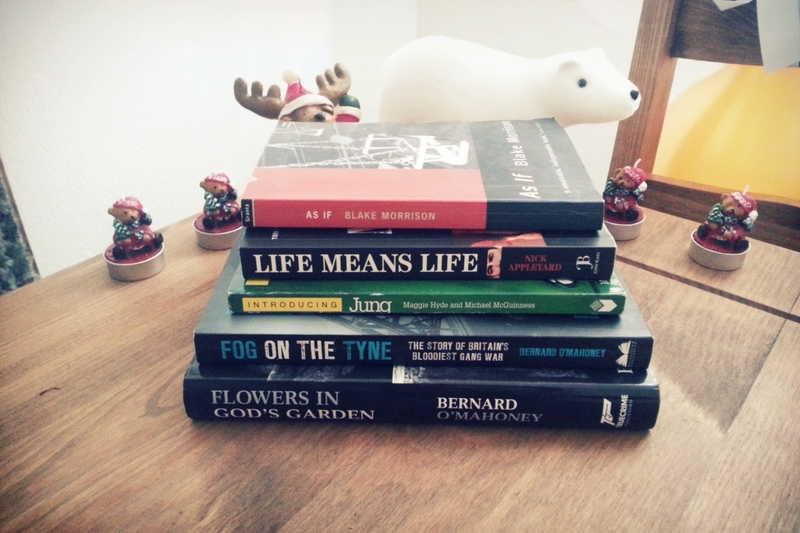 I am going to try and be much more selective in 2014 with regards to purchasing new books and I will not be purchasing any new books until I have read 6 books I already own. I have too many unread books which are sitting on my shelves and being forgotten about. 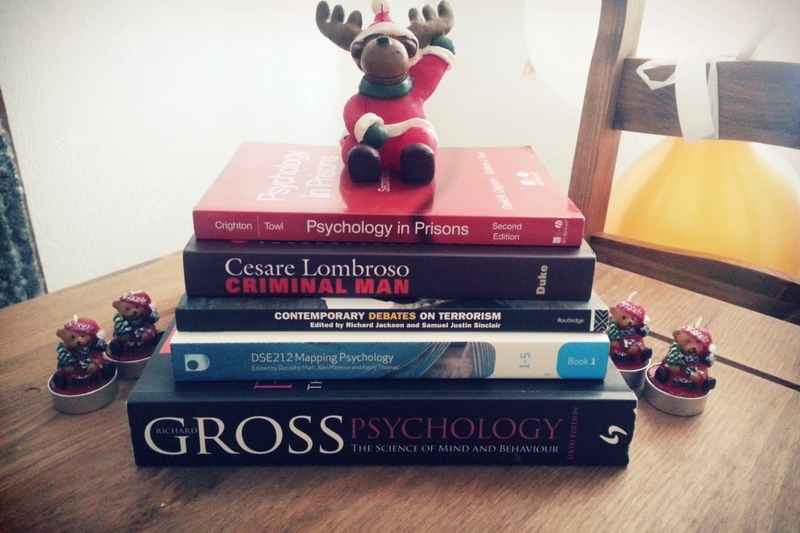 Being a university student and someone with a passion for psychology and in particular criminology, text books are particularly prominent in my life. I have had a fantastic year with the Open University, not only have I seen my grades increase but I have also managed to maintain a higher standard of essay writing. I feel more confident in my academic ability and finally feel like I have really begun to engage effectively with the material. In previous years I hadn’t got my time management skills to where they needed to be and I really struggled to fit everything in which meant that I rarely scraped the surface of the further reading lists however in 2013 this has changed drastically. I often felt like university work was slightly overwhelming and that it was in control of me whereas I now feel like I am in control of it (although organised chaos may be a better way to describe it!) So I thought I would also share my Top 5 text books of the year. 2013 has been a great year and I am going into 2014 positive that it will be just as great. 2014 is *fingers crossed* the year I finish my degree and I am ready to take on everything it may throw! This is probably my last blog post before the new year and so I wish everyone a happy and prosperous year. I have always been tempted to read “As If” but the reviews i have seen have not been very favourable, saying it is a bit “arty” if you get me. One of the reasons I put it in my top reads is that I found it very easy to read. It certainly isn’t the best written book I have read this year but I found it light, informative and such a quick read. Really like that style of book as they tend to give me a break from uni books.